There's nothing quite like rocking and relaxing when you need it the most. 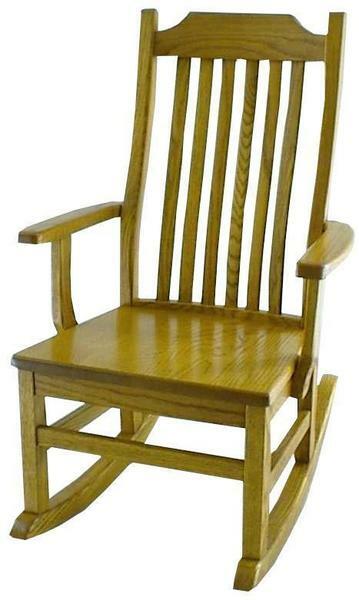 Handcrafted with the finest materials here in America, the Amish Furniture Ohio Mission Rocker wraps you up in the warmth and comfort of a custom made rocking chair. The simple nature of this mission style rocker adds to its appeal, offering a cozy comfort with nothing frilly. This mission rocker is right at home in both traditional and modern decor, with your choice of solid wood and upholstery defining its place in your home. Add this Amish made rocker to your living room, family room, den or bedroom and enjoy a quiet spot to read, rock and relax. Browse our complete collection of Amish Rocking Chairs and Gliders to find the perfect fit for your home.